I am so excited to show these new tea towels to you! 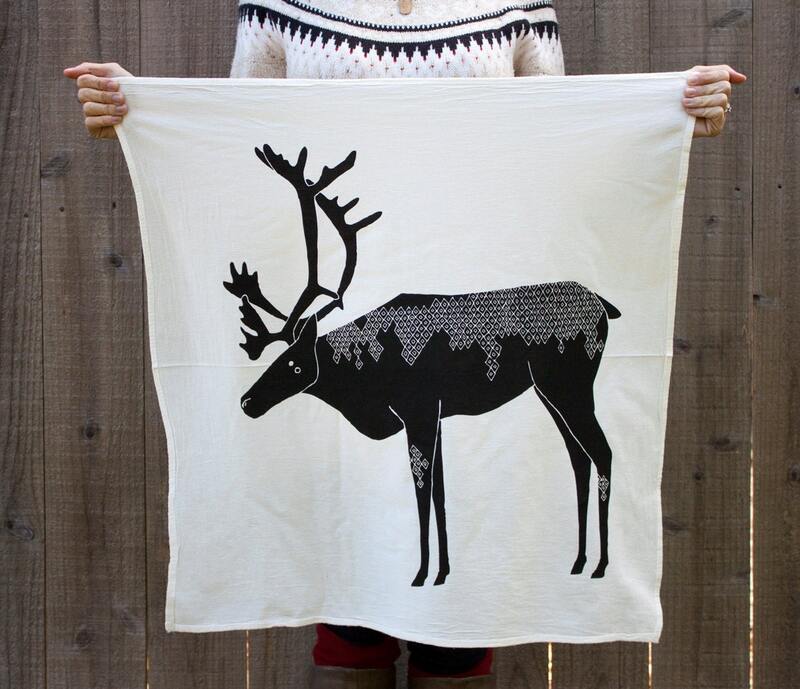 They are oversized, flour sack tea towels, featuring a gorgeous caribou illustration. 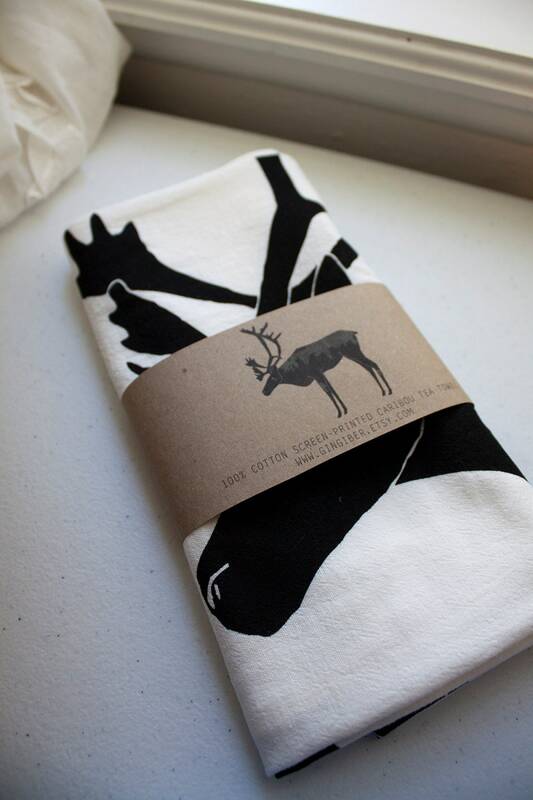 I've always wanted to have products that were a little more sophisticated than my usual fare, and I feel like these tea towels would be the perfect gift or stocking stuffer this holiday season. 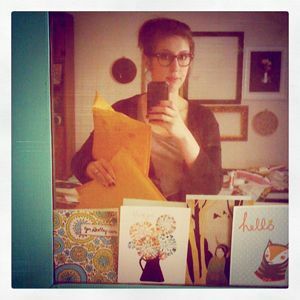 They arrive folded and packaged. I hope that you really love them! They are limited edition, so get them while you can!